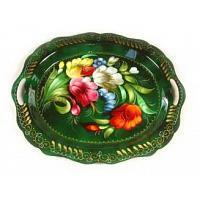 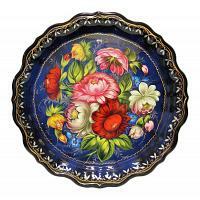 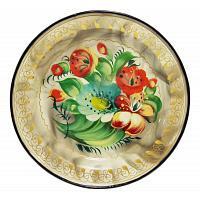 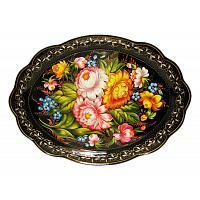 Zhostovo painting is an old Russian tradition of decorating metal trays. 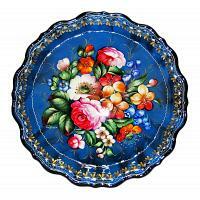 Originating in a village of the same name, this folk handicraft dates back to the early 19th century. 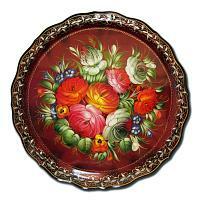 Albeit diverse at first, floral patterns dominate this category nowadays.